Our Extractionist of the month is Lance Miller of Manistee, Michigan. 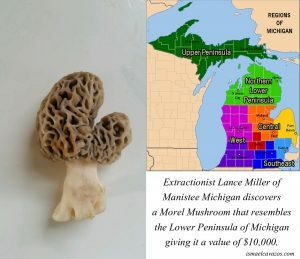 This 30 year old and his brother are “shroomers” and he estimates he’s picked hundreds of thousands of morel mushrooms, but last week the Manistee man ran across what he considers a once-in-a-lifetime find: One shaped like Michigan’s Lower Pennisula. Because of this, it is up for auction on ebay or can be bought outright for $10,000! 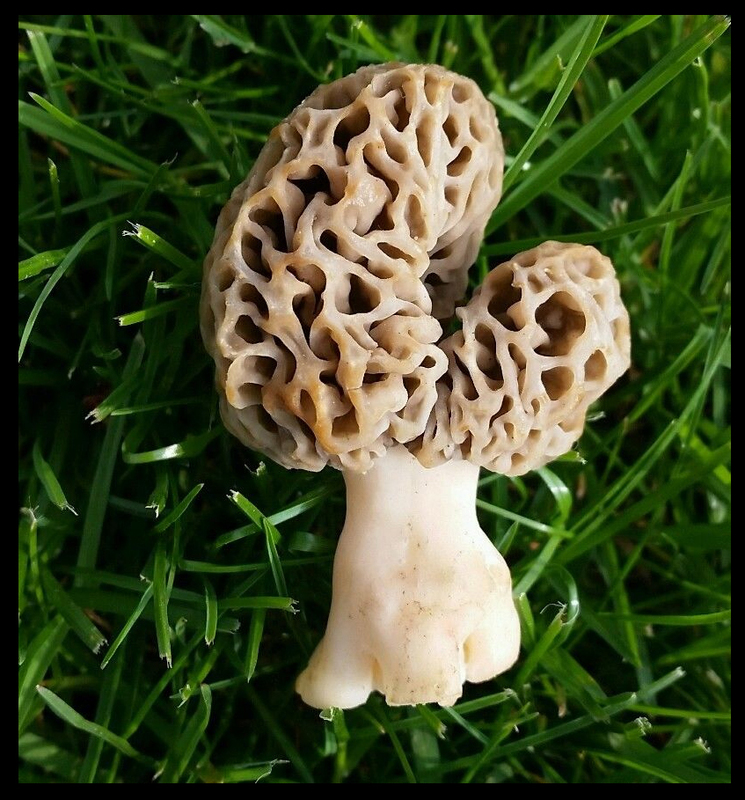 Resemblances live when we give them attention, try it yourself for another dimension!